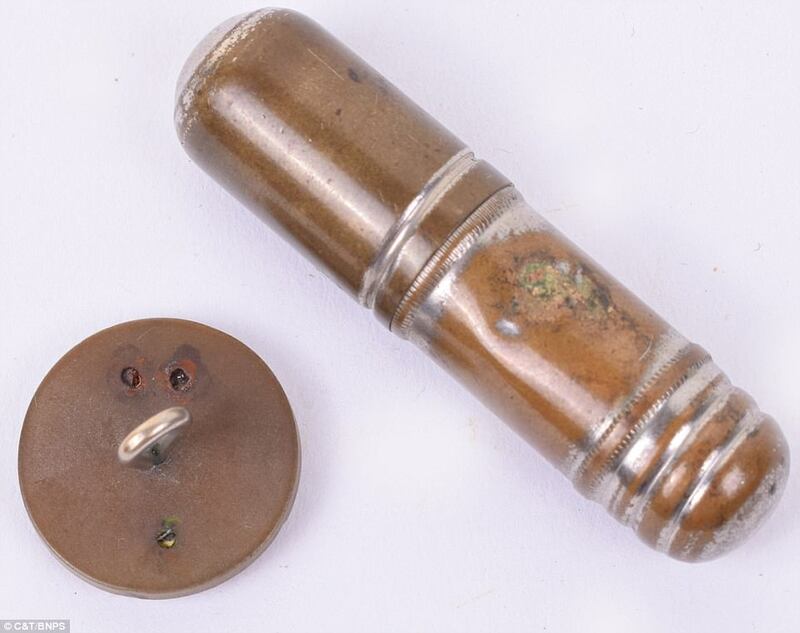 A collection of rare James Bond-style gadgets used by British spies during the Second World War has been unearthed and is likely to fetch £5,000 at auction. 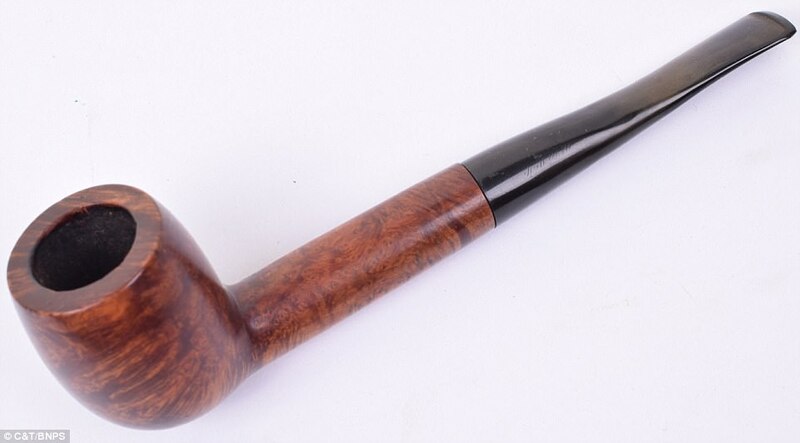 The array of impressive objects includes a smoking pipe with a detachable mouthpiece which pulls out to reveal a lethal steel dagger. 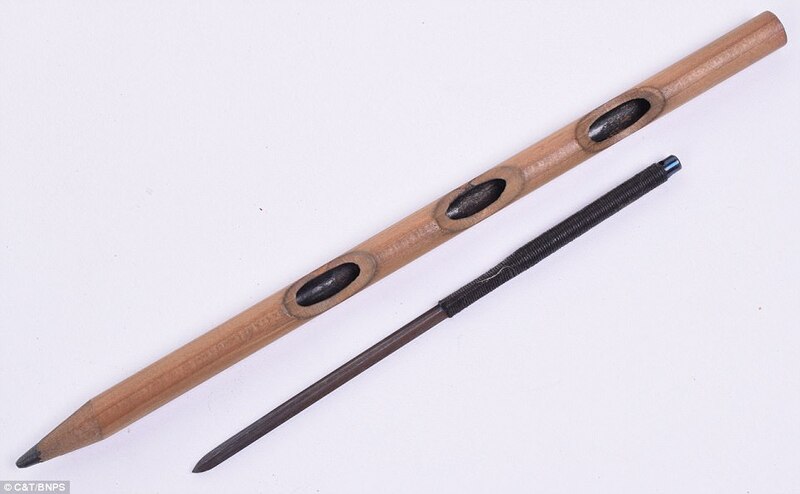 Other fascinating items which make up the collection include a pencil which has a thin removable blade hidden inside instead of lead. 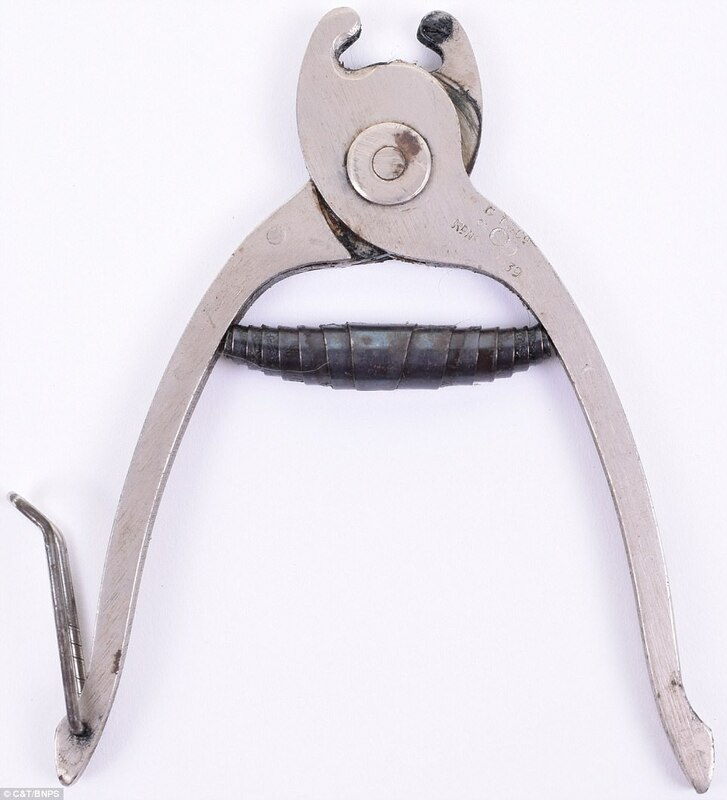 All of the deadly tools would have been used by Special Operations Executive agents who were in do-or-die situations behind enemy lines. 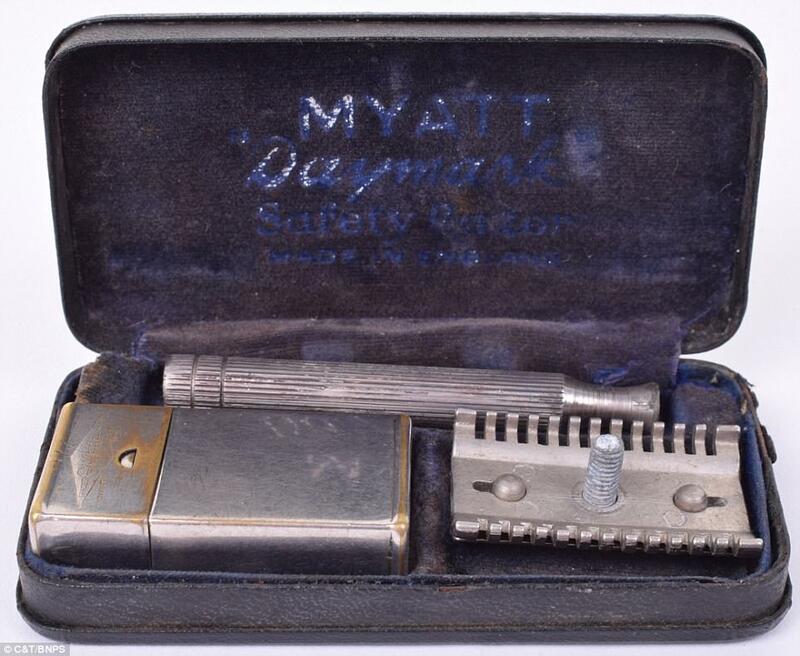 Meanwhile, a run-of-the-mill travel razor kit has a hidden spike blade in the case. 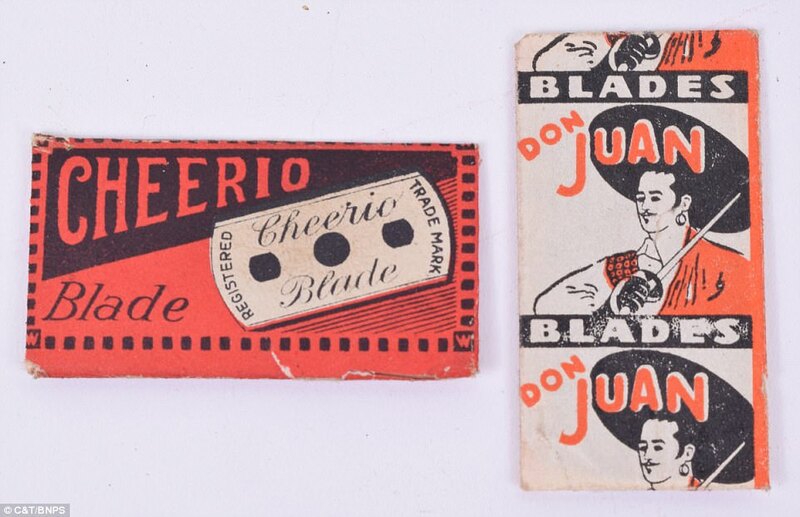 There is also a steel dagger spike which could be concealed in clothing and brandished in moments of strife. 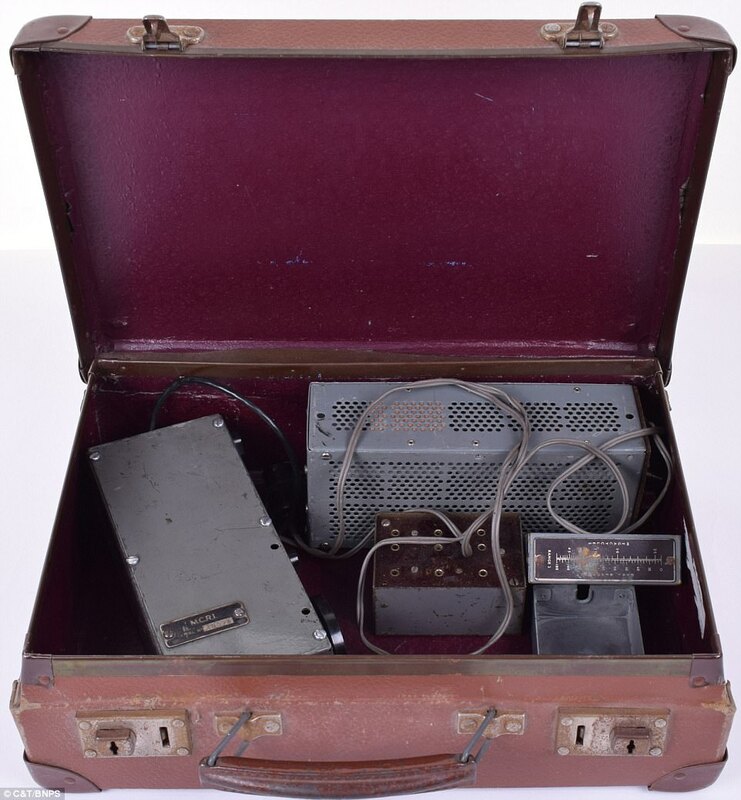 The ‘escape and evasion’ items have been amassed by a collector of World War Two memorabilia over the years but have now emerged for auction and are expected to fetch £5,000. 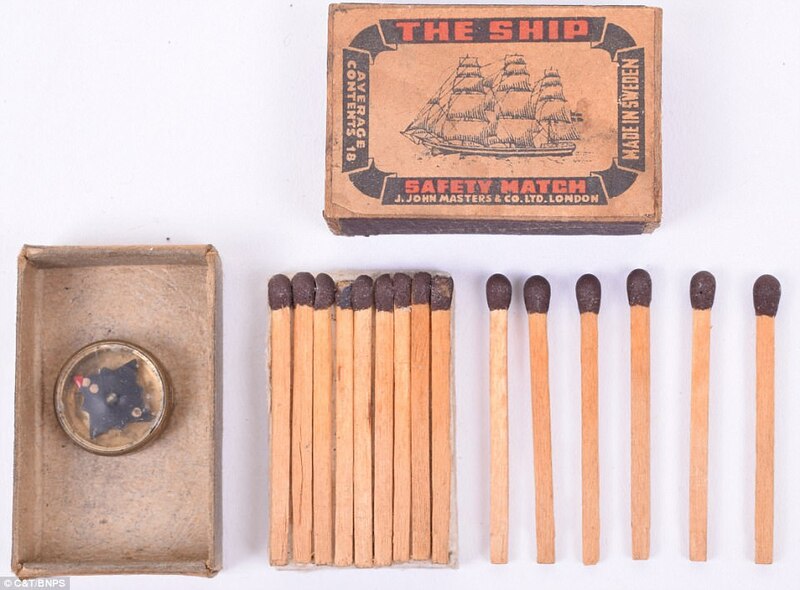 Other ingenious items issued to SOE agents were matchboxes with a hidden compass inside and miniature message containers which could be concealed from prying guards. 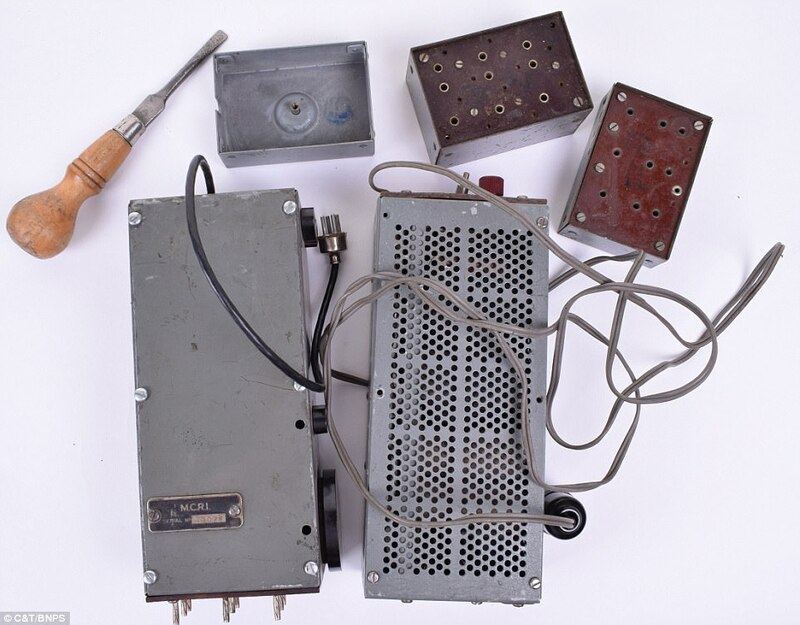 One of the marquee lots in the sale is a ‘biscuit tin’ radio transmitter which was used by an agent to receive messages behind enemy lines in occupied Belgium. 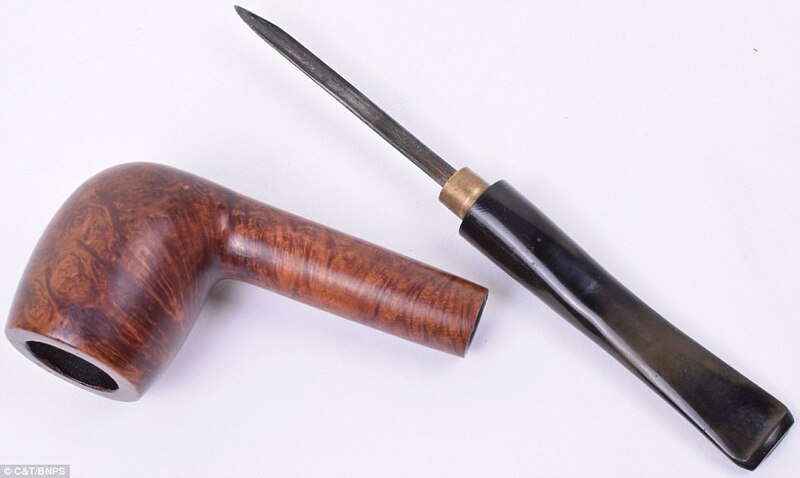 Mathew Tredwin, of C&T Auctioneers of Ashford, Kent, said: ‘The pipe dagger in particular is quite interesting because it is designed to look like an everyday object and the last thing you would expect was for someone to have a dagger concealed in a pipe. 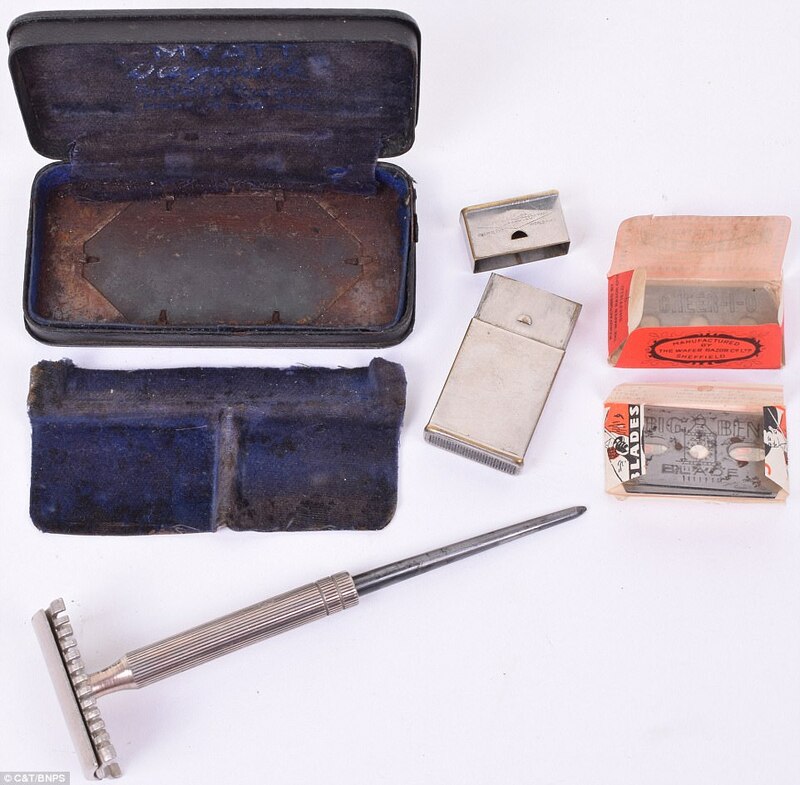 ‘The pencil and razor kit are very similar and by the time you realised it was a weapon it would be too late. ‘Some of these weapons are quite chilling when you look at them now but they give you an immediacy of a kill or be killed scenario many of these agents woulds have faced. ‘You can imagine an SOE operative, many of whom were women, being cornered by a German soldier and all you had was a stealth weapon to fight your way out. ‘It was incredibly dangerous. If you were caught that was it, you would be executed. ‘These stealth weapons are few and far between. 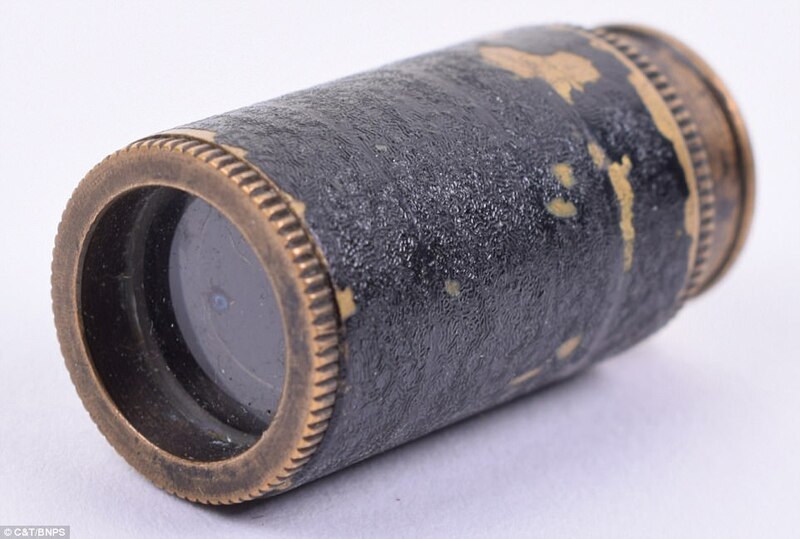 Once they were used by the secret agents they were often disposed of. The Special Operations Executive was a British organisation formed to conduct espionage, sabotage and reconnaissance in occupied Europe against the Axis powers and to aid local resistance movements. The organisation directly employed or controlled just over 13,000 people, about 3,200 of whom were women, although few people were aware of SOE’s existence. It was an incredibly risky role as any spy caught by the Nazis was executed.